The Discman, or more correctly known as the Sony Discman, was a range of portable compact disc players powered by batteries and with a set of headphones that allowed their owners to listen to music while on the move or away from a mains power supply. The Discman product line went thru several evolutions, including the addition of radio reception, and the ability to play Writable and Re-Writable discs that could include music in traditional digital format, or in mp3 format. Personal audio equipment, especially miniature radios that could receive medium wave (MW), short wave, and frequency modulated (FM) transmissions really became popular in the 1960s, although radio only permitted listening to music that was broadcast by a radio station according to their playlist. Demand for portable cassette players in the 1970s that allowed users to play music of their own choice was high, but most players were the size of a small shoebox. Sony had been one of the first companies to introduce a miniature radio to the market in the late 1950s, and a corporate culture of miniaturization developed resulting in the first Sony Walkman coming to market in 1980. The Walkman was an immediate hit due to being only slightly bigger than a tape cassette, and encouraged executives at Sony to think about a compact disc player that would achieve the same aims. In October 1982 the very first compact disc player was released to the market, the CDP-101, and was marketed by Sony though Sony had announced only two months previously that Philips, CBS/Sony, and Polygram had jointly developed the compact disc technology. The very first commercially available audio compact disc was Billy Joel’s 52nd Street being released on the CBS/Sony label. By 1983 only 1000 titles had been released and Sony who had invested a lot of research into the product were keen to see compact disc players being sold in the same numbers as vinyl record players. 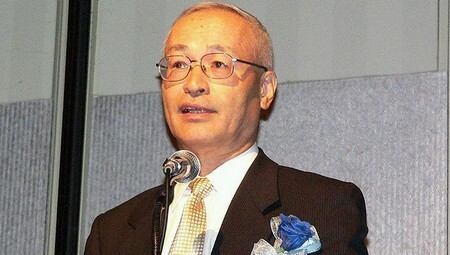 In 1983 Katsuaki Tsurushima, head of Sony’s Engineering Development Department came up with the idea of creating a portable CD player which could be powered by batteries, be transportable, and lead to increased demand. His hope was to create a CD player that would be no bigger than three or four CD cases stacked together and which could be sold at a price that even students could afford. The idea became known as the CD CD project, a mouthful that meant compact disc cost down project. With the approval of Nobuyuki Idei, head of the Audio Division, Kozo Ohsone, head of the General Audio Division, and Akio Morita, Sony’s CEO, a meeting was held in Tsurushima’s department with Sony’s best and brightest engineering staff. A block of wood measuring 13cm by 4cm was held up in the air and Ohsone exhorted the technical staff to design a CD player exactly this size. Looks weren’t important, Sony wanted to be first on the market with a portable compact disc player. At the time this sort of miniaturization was almost considered impossible with the technology of the time but by November of 1984 Sony engineers had managed to fit a CD player into a case a little smaller than the block of wood, and that month the D-50, internally nicknamed as the Discman,was Sony’s first portable CD player released to Japanese music lovers. It was priced at 49,800 yen which was actually half the cost of manufacturing the product but Sony were confident the D-50 would become profitable. The Sony D-50 never shipped with the Discman branding but it is nevertheless the spiritual ancestor of all Sony Discman portable CD players. Curiously, Sony D-50s didn’t ship with their own power supply or the ability to fit batteries. Instead, separate battery packs or power supplies could be purchased, with different models of power supply for different purposes. The most popular being a battery case that this was a separate device that could be added to the D-50 and included either 6 C size batteries or a custom rechargeable battery, and a strap for carrying the entire kit. In those early days CD players were highly susceptible to skipping, the D-50 being no different, and essentially meaning that Sony’s first portable CD player was only portable in the sense that it could be taken from place to place, and using this first generation Discman while on the move required very careful walking, certainly jogging or other exercise activities weren’t practical with this device although it didn’t stop sales people and marketers from promoting the D-50 as an on the go CD player. The technology didn’t improve substantially with international models of the the Sony Discman being much the same as the D-50, in that all required a separate battery pack or power supply, but they did vary in features and looks. The Discman D-100 is paticularly noted for being slightly slimmer than the D-50 yet packing a full range of software enhancements that effectively rendered it no different from top end home CD players, including track programing and selective repeat. By 1987 compact displayer technology had improved to the extent the Discman D-20 was able to offer a built-in battery compartment that would take both a factory supplied rechargeable battery, or the option of using 4 AA batteries. An optional remote control unit could also be used allowing the D-20 Discman to be used in place of a Hi-Fi CD player. By 1992 Sony had produced the Discman D-66 which incorporated a ‘dual damper anti-shock mechanism’ where the optical mechanism and motor was suspended on springs inside the case, but also damped with small fluid filled rubber bags. The early 2000s saw the growth of the MP3 music format and a significant design change in Sony Discman’s which were now round portable CD players and incorporated Sony’s ‘G Protection’ anti-skipping system. The explosive growth of computer chips for mobile phones, laptop computers and other consumer electronics made it feasible for Sony to develop an anti-skip technology that would read ahead and store data into onboard memory for real-time playback. The technique was self correcting and skips in data would be read again before play resulting in a mostly skip free experience for the listener. The Discman nickname was finally retired in favor of CD Walkman in 2000, around the same time Sony introduced the new ‘W’ logo, composed of several joined together dots, for the Walkman range of products. 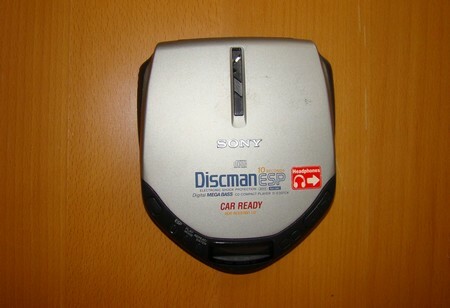 The Discman trademark is still owned by Sony who reserve the right to resurrect the brand in the future. this article isn’t right. I have an old discman…the first ever and it’s much bigger than this which claims to be the first. I stumbled across this because I’m trying to find out how much it’s worth. I was there and this synopsis surely misses a LOT of the significant advances of the early high quality portable CD units Sony produced. I still have my beautiful D-9 that was so advanced it included line out capabilities so it could function as a component unit and also offered remote capabilities. Doesn’t mention the first commercially successful CD player Sony produced, the D-5, which, like the D-50 required a docking station for power supply or an attachable battery case allowing it to be portable that required six D cells.